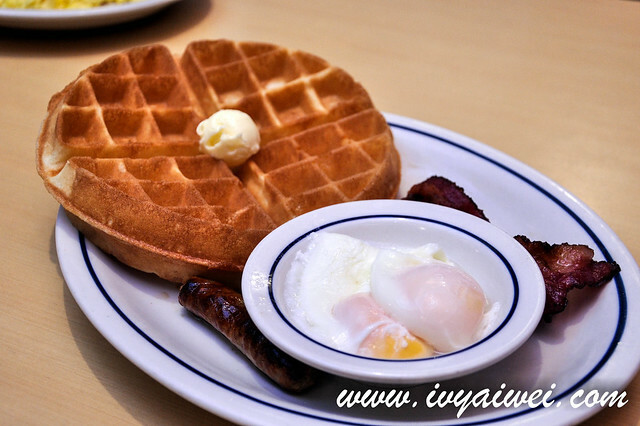 IHOP is a long standing family restaurant chain that serves a wide variety of breakfast, lunch and dinner items that cater for people of all ages. 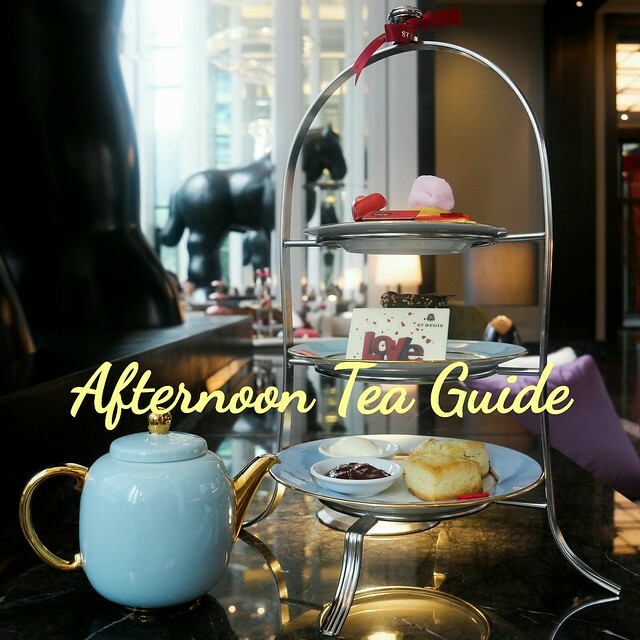 It offers more than just food but also the wonderful dining experience with the warm friendliest services from the staff where you will feel you are dining in a fine dine restaurant even though it is just a casual restaurant. 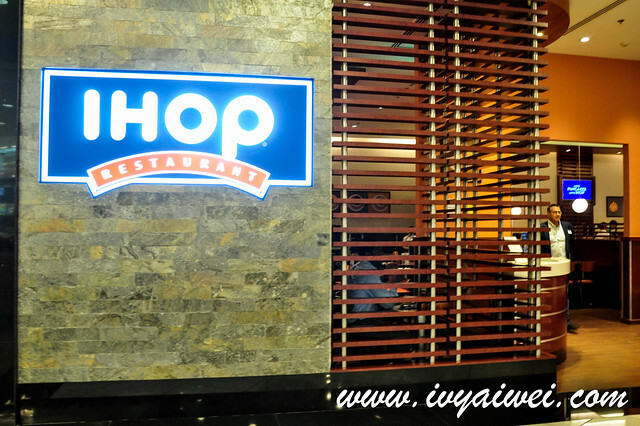 Established since year 1958 in the States, IHOP is then mushroomed and expanded all over the states and District of Columbia, Dubai UAE, Guatemala, Kuwait, Mexico, Puerto Rico, Saudi Arabia, Philippines… and coming up next to Southeast Asia??? 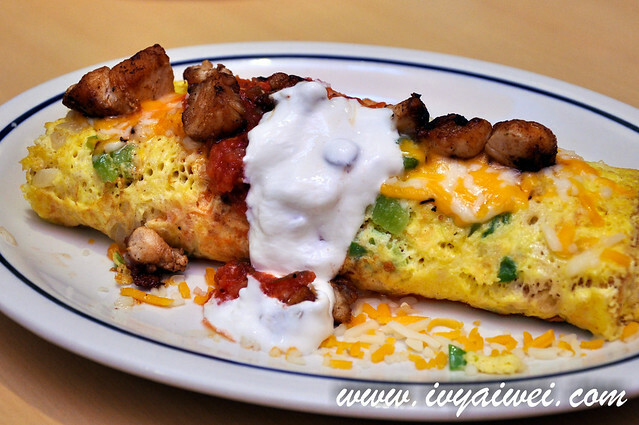 Any IHOP fans here??? 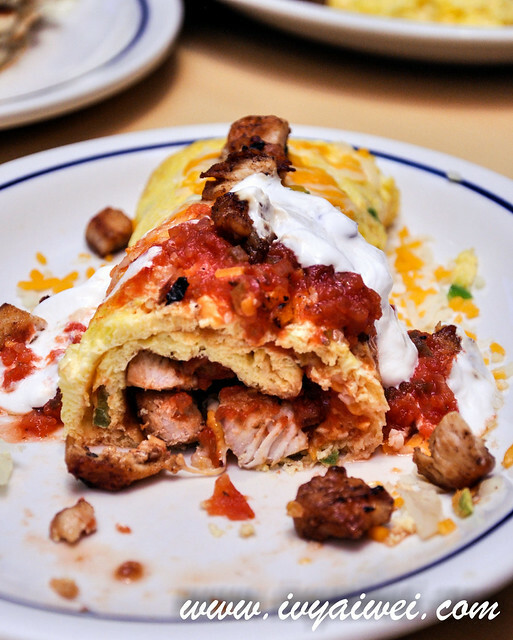 Here is one of the philosophies of IHOP: Come as you are. 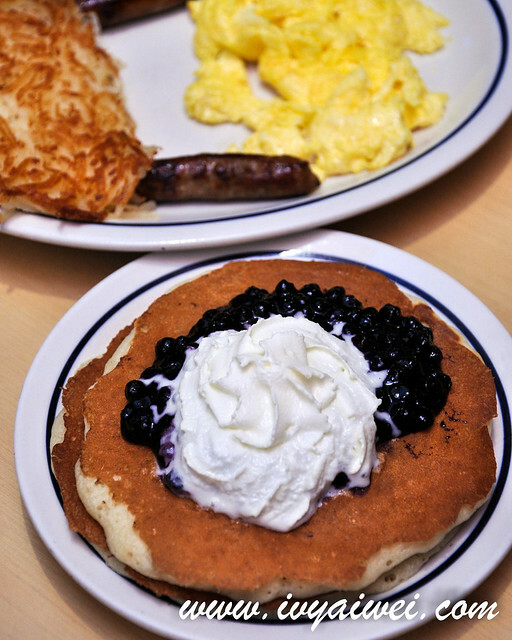 There is no airs about breakfast. No need to dress to impress. 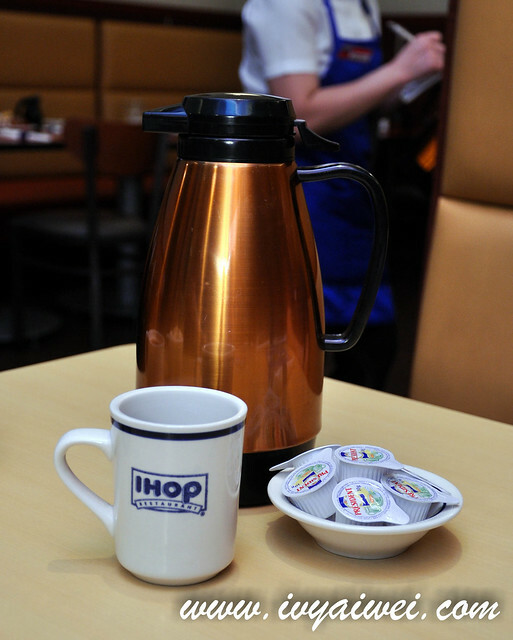 Just like home, breakfast at IHOP is where you can be comfortable and 100% yourself. I quite like this. Come in comfortably and be yourself. The staffs are extremely warm and friendly over here. They will make you as though you were at home. Service was prompt too! As soon as we have done our orders, next few minutes, the food was up! 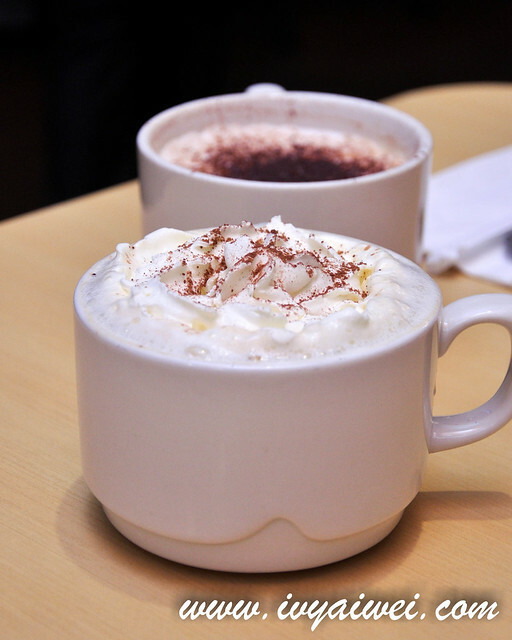 Always a great idea when there is in need of caffeine. This is the bottomless coffee where we can actually get unlimited refills. 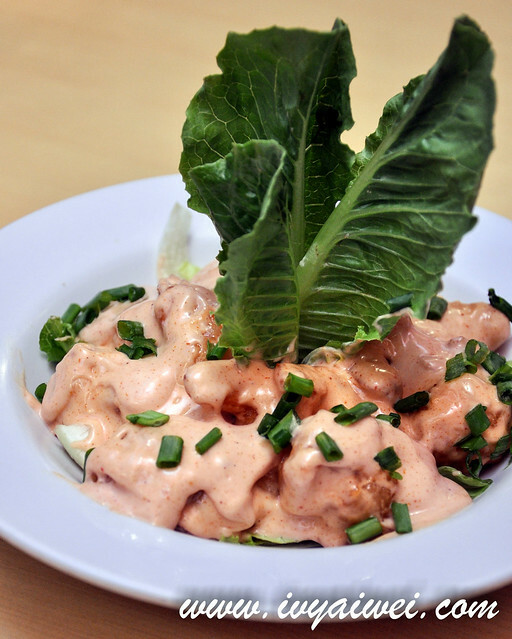 Battered shrimp tossed in their very creamy volcano sauce that is both sweet and spicy. The shrimp was pretty huge and deep fried into perfection. However, I found that the sauce coated on the battered shrimp was a little too generous which made the shrimp turned soggy fast. 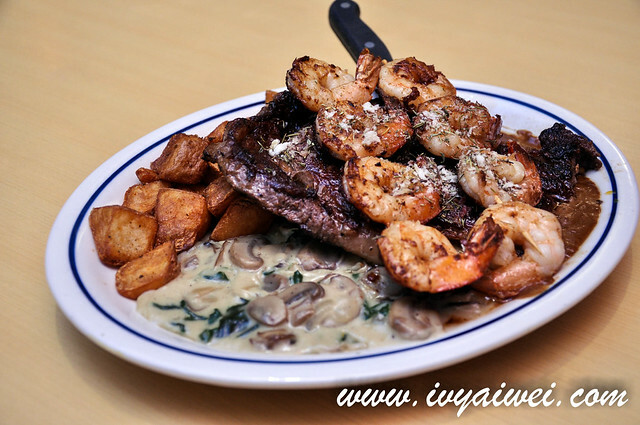 Grilled rib eyes steak topped with seasoned shrimp; served with sautéed spinach and mushrooms in a creamy sauce and seasoned red potatoes. Huge slab of rib eyes and succulent pieces of prawns on a bed of sauces and red potatoes condiments which I find it quite worth the money spent on. Yummmayyyy… the brown sauce was very well seasoned while the sautéed spinach and mushroom in creamy sauce was something I fancied. I am not a spinach person but I love this! Just a small grip, the rib eyes steak was made medium well instead of medium where we requested. Hence, the steak was a little dry and tough to slice on. No doubt, shrimps were huge, fresh, sweet and bouncy. This one has my vote and it was my favourite among all. Chicken breast strips sautéed with lightly seasoned fresh spinach, mushrooms and onions. 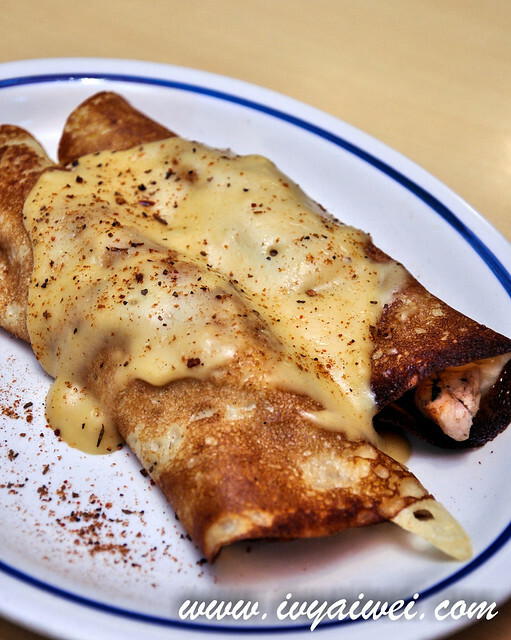 Rolled inside two delicate crepes with Swiss cheese and topped with rich creamy hollandaise sauce. Didn’t know we can use hollandaise sauce on crepe too aside from egg benedict. It was a wholesome meal, with all the elements running in one crepe. This savoury crepe rocks!!! Portion wise, it was very huge and served as a great sharing plate among a few pax. 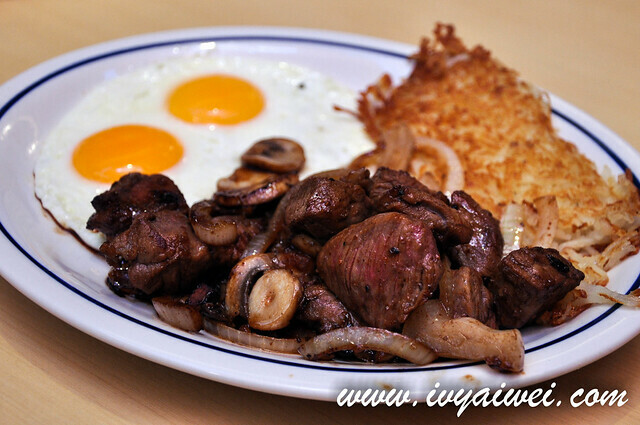 Grilled, tender, sweet and savory sirloin tips with grilled onions and mushrooms, served with 2 eggs, hash browns and 2 buttermilk pancakes. It is always a luxurious idea to have beef for breakfast!!! 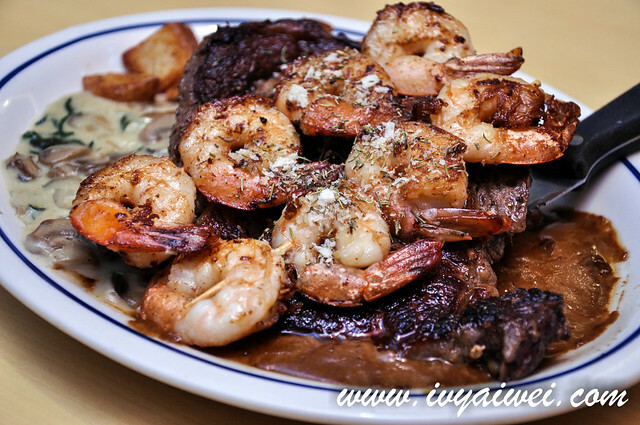 The sirloin cuts were thicker than the previous Surf and Turf, so the beef was made at the correct temperature. Oh boy, the sirloin tips were superb but I do prefer it comes with more sauces coated on the sirloin tips. And then it will be perfect! 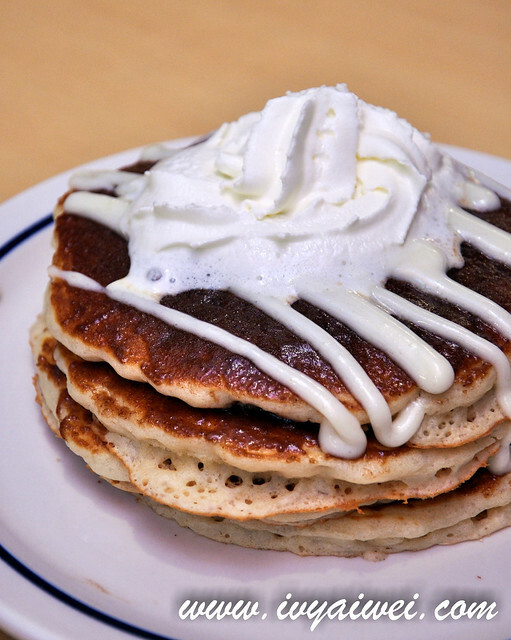 A stack of fluffy buttermilk pancakes layered with a luscious cinnamon roll filling, drizzled with rich cream cheese icing and finished with whipped topping. It was a nicely fluffed up pancake. I have to say this gotta be one of the best pancakes I have tried. Soft and fluffy without any floury taste. Drizzled as much as flavoured syrup you like which are available on the table. Frilled fajita-seasoned chicken breast strips, onions, fresh green peppers with salsa and a blend of cheeses, topped with sour cream. Another wholesome dish inspired by the touch of Mexican flavours you must order if you were here. However, the chicken was a lil’ dry, perhaps it the the breast part used in this dish. Pick-A-Pancake Combo (AED 41) allows you to choose a pancake of your choice, and serves along with 2 eggs (we had scrambled), hash browns and a choice of bacon strips or veal sausages. I had this with blueberry compote. Just look at the topping served, there was plentiful of blueberry topping. 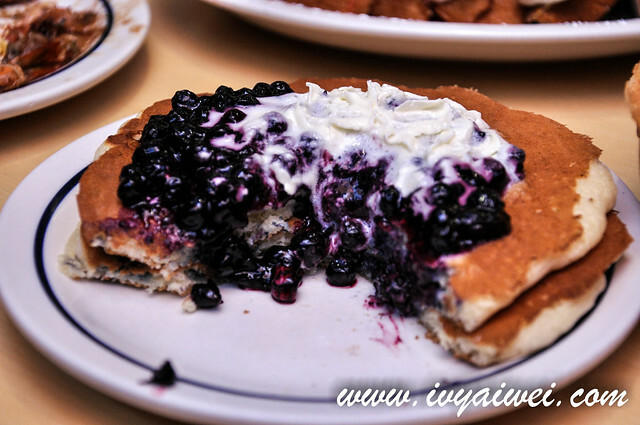 Love this very much as the buttermilk pancake was really very good. However, the side components were really not up to the standard. The scrambled egg was overdone and tasted like fried egg in texture while the sausages and hash browns were way too salty to my liking. Served with two eggs of your choice (I had them poached), two beef bacon strips or two veal sausage. Top up AED 10 for strawberry toping, warm blueberry or cinnamon apple compote. Personally I fancy the waffle alone. It was fluffy and buttery. The edges were still in a little crispy even though it was left for some times. I wondered what are the secret recipes in their waffles and pancake. I actually went crazy over their flavoured syrup, though sweet. Just watch your available quota. Opsss. As for the egg, bacon and sausage, there were nothing to shout out about. 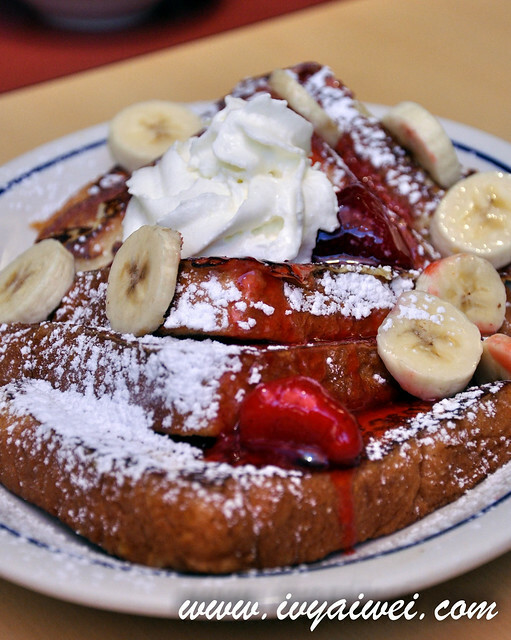 The 6 French toast triangles with cool strawberry topping, fresh banana slices and whipped topping. Another generous plate for sharing. Sadly, the French toast was too thick, floury and slightly on the sweet side; not to my liking. Overall, it was a pleasant experience to dine in here; foods are really huge in portion which is really great for sharing. 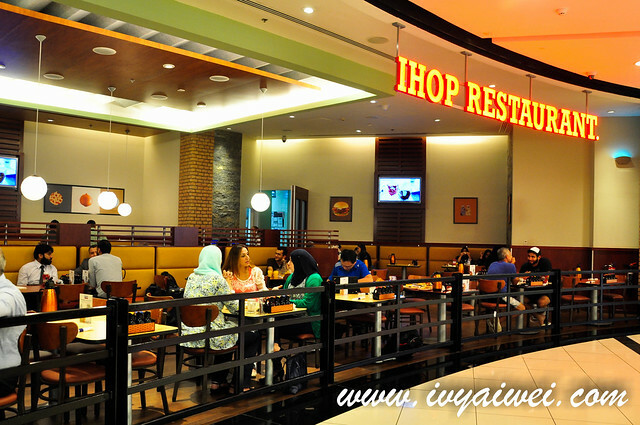 In order to blend into Malaysia market, IHOP needs to put in a lot of efforts. One of it would be the price. It is considered pretty expensive to spend in a casual dining place though with a top-class service. However, if the price of their dishes can be slashed down to suit our Malaysian spending standard, perhaps which will work. Besides that, Malaysia has a lot of French and Melbourne inspired cafe that offers very fancy and Instagram-able dishes with delicate nice plating while IHOP dishes are pretty simple and clean. Good for our Muslim friends as this can be one new eat out brunch or meal place for them because it is halal in Dubai and I believe it can be halal here too.